As far as I know, the 68EC040 has never been used as the base processor for any Amiga, or on an accelerator card, although it should be 100% compatible. The difference between the 68040 and the 68EC040 is that it lacks an internal MMU and FPU and cannot support an external one. 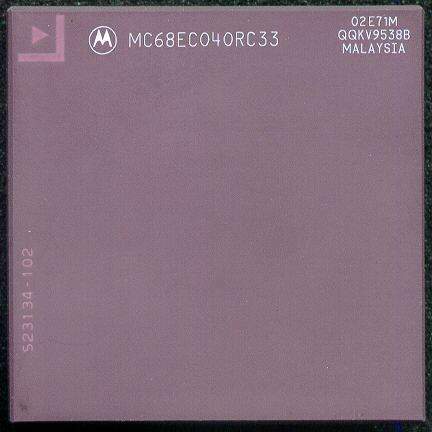 The 68EC040 processors were usually 68040's where the MMU and FPU had failed during testing.